The fist content from the Expansion Pass for Middle-earth: Shadow of War is available along with some free content updates and features. 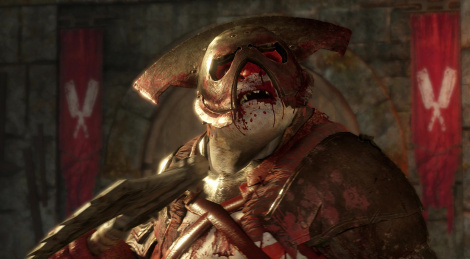 The Slaughter Tribe adds the new bloodthirsty Orc faction to Mordor with their weapons, fighting style, missions, and more. The free content includes Endless Siege, Rebellion and Enhanced Photo Mode. Trailer and details inside. Middle-earth: Shadow of War Slaughter Tribe Nemesis Expansion & Free Updates Available Today! • Tribal Showdowns – New missions allowing players to face down Captains from the Slaughter tribe, with each showdown bringing unique challenges to complete. • Tribal War Bands – Aid your ally and defeat your nemesis when facing off in the new Tribal War Bands quests as Captains from the Slaughter tribe bring their own forces to clash in battle. • New Fortress Theme – Fortresses can now be commanded by and embody the characteristics of the Slaughter tribe, including themed monuments, outposts and Overlord throne room. • Legendary Gear Set – Hunt down Legendary Slaughter tribe Orcs for a new Legendary gear set with additional upgrade challenges. • Blood Ambush – Repel Captains from the Slaughter tribe as a succession of Orcs stage an ambush in true Slaughter tribe fashion. • Endless Siege – Defend your fortresses against Sauron’s forces as the Dark Lord tries to reclaim Mordor in the Endless Siege. • Rebellion – Crush the rebel Ologs and Uruks in your forces as they seek to undermine the Bright Lord. • Enhanced Photo Mode – Capture every battle and siege and apply new filters, frames and textures with the Enhanced Photo Mode update. 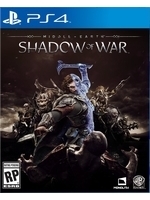 The Middle-earth: Shadow of War Expansion Pass is currently available for $39.99, or included as part of the Shadow of War Gold Edition for $99.99. The Slaughter Tribe Nemesis Expansion (Available Nov. 21), Outlaw Tribe Nemesis Expansion (Available Dec. 12) and Blade of Galadriel Story Expansion (Available Feb. 2018) can each be purchased à la carte for $14.99. The Desolation of Mordor Story Expansion (Available May 2018) can be purchased à la carte for $19.99.